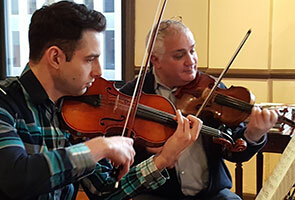 Darnton & Hersh Fine Violins, expert appraisers, restorers and dealers in violin family instruments and bows, is a partnership among performers Stefan and Julian Hersh and violin maker/restorer Michael Darnton that breaks down the usual boundaries between string players and instrument makers, dealers, and experts. Because we play and perform, we understand when players tell us what they need from their instruments and bows. 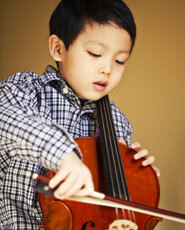 Because we build and restore, we know how to work with players to optimize their relationship with their instruments. 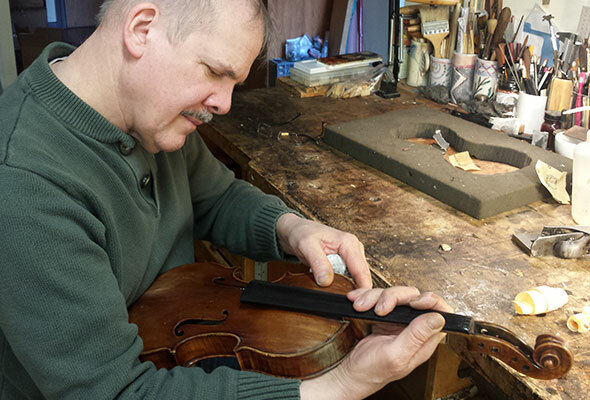 Through decades of experience in the trade we have acquired respected expertise on the instruments and bows themselves. Darnton & Hersh offers for sale a selection of violins, violas and cellos ranging from the most exceptional antique Italian instruments to more affordable but fully playable instruments. We also offer bows in all price ranges including those by the finest French masters. We pride ourselves in providing the same level of service and care to all our customers, no matter what kind of instrument they are purchasing or having repaired. Darnton & Hersh Fine Violins is the reliable, comprehensive resource for string players, whether professional, amateur, or student.